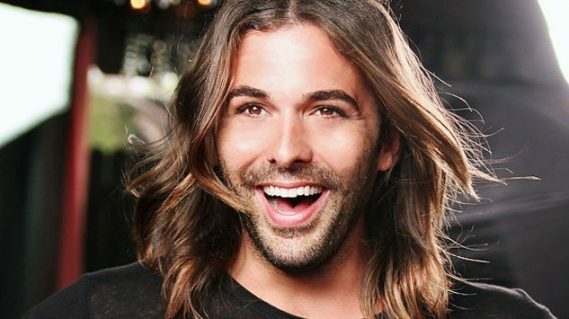 As the star of the Emmy winning show Queer Eye and the Emmy nominated webcast “Gay of Thrones,” Jonathan Van Ness now brings his debut stand-up act to the Fillmore Miami Beach at the Jackie Gleason Theater on Friday, November 22nd, 2019 / 8PM. Tickets go on sale Wednesday, March 27th / 10AM. Jonathan Van Ness is an Emmy-nominated television personality, podcaster, and hairstylist to the stars. He can be seen starring on Netflix’s Emmy Award-winning reboot series “Queer Eye,” where he shines as the show’s groomer, hair guru and self-care advocate. In addition to “Queer Eye,” Jonathan stars on the Emmy-nominated series “Gay of Thrones,” (Funny or Die) a witty social commentary series recapping HBO’s “Game of Thrones.” Jonathan has become known in the entertainment industry for his fabulous, unstoppable energy. Now, he brings that energy to the stand-up stage with an unforgettable live show, serving cirque-du-so-gay-realness between stand-up sets so good your face will be in need of a massage from all the smiling. Reserved Seat tickets for Jonathan Van Ness Friday, November 22nd, 2019 / 8PM are $55.00 and $45.00. A limited number of Front Row Seats are also available for $125.00. All tickets are on sale Wednesday, November 27th / 10AM at LiveNation.com or charge by phone 800-745-3000 and at the Fillmore Box Office during normal business hours (Mon. – Fri., 11AM – 6PM and during show days).